Although airplanes are designed for a variety of purposes, most of them have the same major components. [Figure 3-4] The overall characteristics are largely determined by the original design objectives. Most airplane structures include a fuselage, wings, an empennage, landing gear, and a powerplant. The fuselage is the central body of an airplane and is designed to accommodate the crew, passengers, and cargo. It also provides the structural connection for the wings and tail assembly. Older types of aircraft design utilized an open truss structure constructed of wood, steel, or aluminum tubing. [Figure 3-5] The most popular types of fuselage structures used in today’s aircraft are the monocoque (French for “single shell”) and semimonocoque. Figure 3-5. Truss-type fuselage structure. The wings are airfoils attached to each side of the fuselage and are the main lifting surfaces that support the airplane in flight. 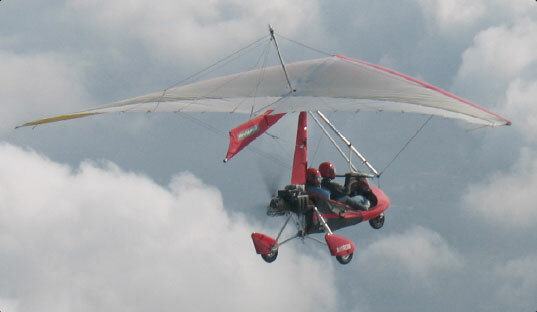 There are numerous wing designs, sizes, and shapes used by the various manufacturers. Each fulfills a certain need with respect to the expected performance for the particular airplane. Figure 3-6. Monoplane (left) and biplane (right). Many high-wing airplanes have external braces, or wing struts that transmit the flight and landing loads through the struts to the main fuselage structure. Since the wing struts are usually attached approximately halfway out on the wing, this type of wing structure is called semi-cantilever. A few high-wing and most low-wing airplanes have a full cantilever wing designed to carry the loads without external struts. The principal structural parts of the wing are spars, ribs, and stringers. 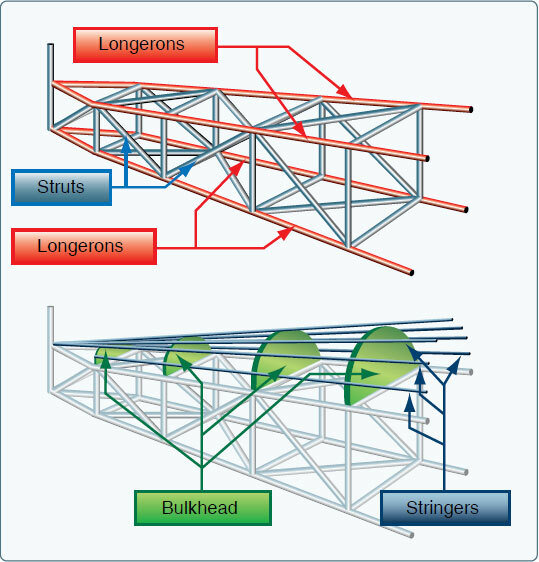 [Figure 3-7] These are reinforced by trusses, I-beams, tubing, or other devices, including the skin. The wing ribs determine the shape and thickness of the wing (airfoil). In most modern airplanes, the fuel tanks are either an integral part of the wing’s structure or consist of flexible containers mounted inside of the wing. Figure 3-8. 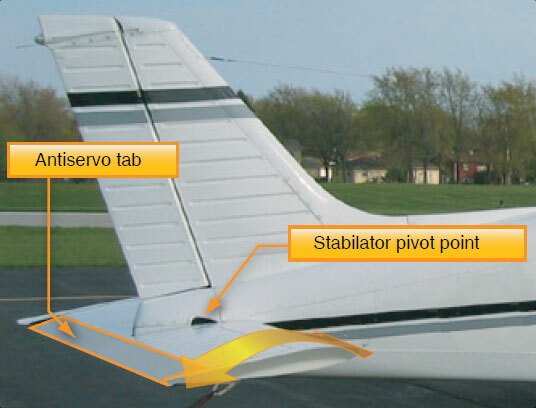 Types of flaps. Alternate types of wings are often found on aircraft. 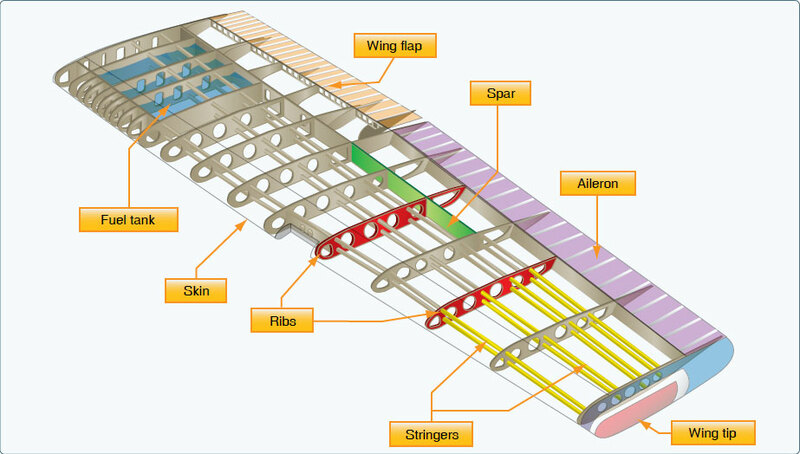 The shape and design of a wing is dependent upon the type of operation for which an aircraft is intended and is tailored to specific types of flying. These design variations are discussed in the Aerodynamics of Flight category, which provides information on the effect controls have on lifting surfaces from traditional wings to wings that use both flexing (due to billowing) and shifting (through the change of the aircraft’s CG). For example, the wing of the weight-shift control aircraft is highly swept in an effort to reduce drag and allow for the shifting of weight to provide controlled flight. [Figure 3-9] Handbooks specific to most categories of aircraft are available for the interested pilot and can be found on the Federal Aviation Administration (FAA) website at www.faa.gov. Figure 3-9. Weight-shift control aircraft use the shifting of weight for control. Wheeled landing gear consists of three wheels—two main wheels and a third wheel positioned either at the front or rear of the airplane. Landing gear with a rear mounted wheel is called conventional landing gear. The powerplant usually includes both the engine and the propeller. The primary function of the engine is to provide the power to turn the propeller. It also generates electrical power, provides a vacuum source for some flight instruments, and in most single-engine airplanes, provides a source of heat for the pilot and passengers. 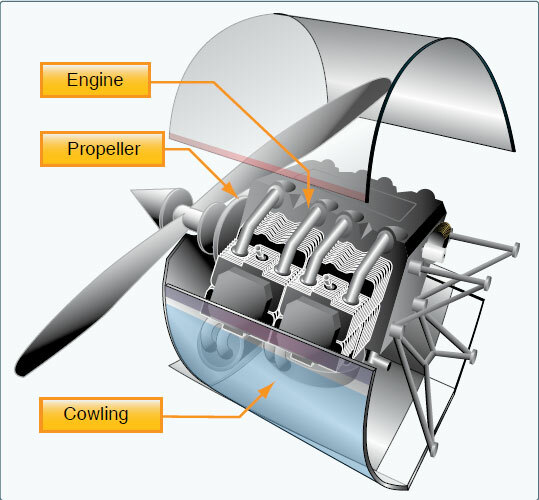 [Figure 3-13] The engine is covered by a cowling, or a nacelle, which are both types of covered housing. The purpose of the cowling or nacelle is to streamline the flow of air around the engine and to help cool the engine by ducting air around the cylinders. The propeller, mounted on the front of the engine, translates the rotating force of the engine into thrust, a forward acting force that helps move the airplane through the air. A propeller is a rotating airfoil that produces thrust through aerodynamic action. 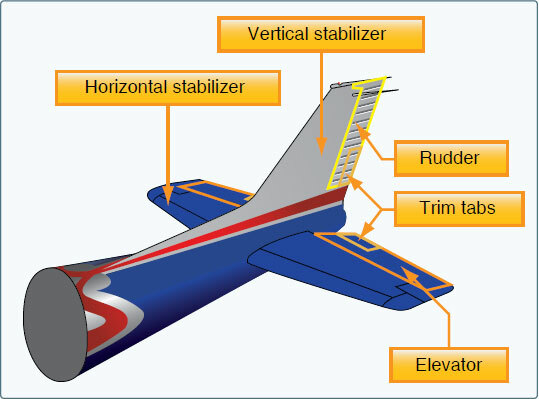 A high-pressure area is formed at the back of the propeller’s airfoil, and low pressure is produced at the face of the propeller, similar to the way lift is generated by an airfoil used as a lifting surface or wing. This pressure differential develops thrust from the propeller, which in turn pulls the airplane forward. Engines may be turned around to be pushers with the propeller at the rear. There are two significant factors involved in the design of a propeller that impact its effectiveness. The angle of a propeller blade, as measured against the hub of the propeller, keeps the angle of attack (AOA) (See definition in Glossary) relatively constant along the span of the propeller blade, reducing or eliminating the possibility of a stall. The amount of lift being produced by the propeller is directly related to the AOA, which is the angle at which the relative wind meets the blade. The AOA continuously changes during the flight depending upon the direction of the aircraft. The pitch is defined as the distance a propeller would travel in one revolution if it were turning in a solid. These two factors combine to allow a measurement of the propeller’s efficiency. Propellers are usually matched to a specific aircraft/ powerplant combination to achieve the best efficiency at a particular power setting, and they pull or push depending on how the engine is mounted. The subcomponents of an airplane include the airframe, electrical system, flight controls, and brakes. 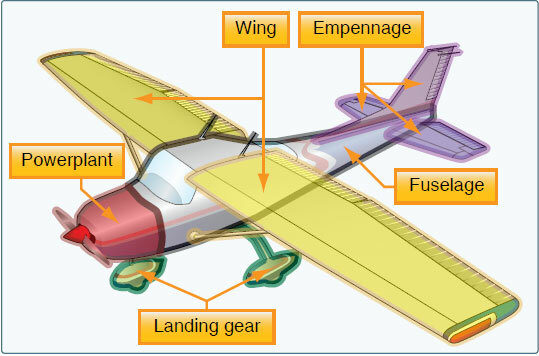 The airframe is the basic structure of an aircraft and is designed to withstand all aerodynamic forces, as well as the stresses imposed by the weight of the fuel, crew, and payload. The primary function of an aircraft electrical system is to generate, regulate, and distribute electrical power throughout the aircraft. There are several different power sources on aircraft to power the aircraft electrical systems. These power sources include: engine-driven alternating current (AC) generators, auxiliary power units (APUs), and external power. The aircraft’s electrical power system is used to operate the flight instruments, essential systems, such as anti-icing, and passenger services, such as cabin lighting. The flight controls are the devices and systems that govern the attitude of an aircraft and, as a result, the flight path followed by the aircraft. In the case of many conventional airplanes, the primary flight controls utilize hinged, trailingedge surfaces called elevators for pitch, ailerons for roll, and the rudder for yaw. These surfaces are operated by the pilot in the flight deck or by an automatic pilot. In the case of most modern airplanes, airplane brakes consist of multiple pads (called caliper pads) that are hydraulically squeezed toward each other with a rotating disk (called a rotor) between them. The pads place pressure on the rotor which is turning with the wheels. As a result of the increased friction on the rotor, the wheels inherently slow down and stop turning. The disks and brake pads are made either from steel, like those in a car, or from a carbon material that weighs less and can absorb more energy. Because airplane brakes are used principally during landings and must absorb enormous amounts of energy, their life is measured in landings rather than miles.